Giant blooms up to 30cm (1') across! Extremely fast-growing during the summer months, this new hibiscus hybrid, White Eye, is built for the English climate. 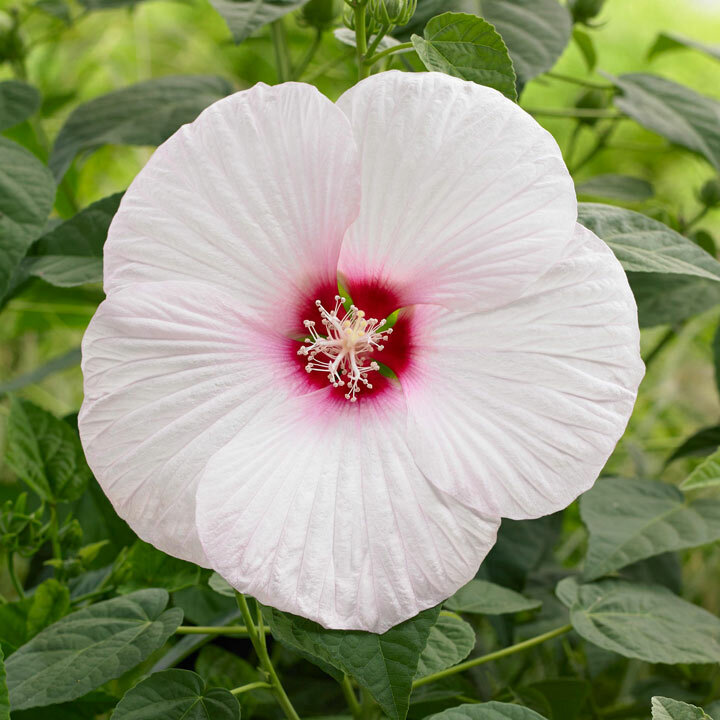 Now you can enjoy the same exotic blooms that gardeners in warmer regions have enjoyed for years! Giant flowers, around 1 foot across, emerge from crinkled buds during the height of summer. With a little winter protection, you can keep these plants year on year too! Flowers July-September. Height 1-1.5m (3'3"-5'); spread 1-1.5m (3'3"-5'). Supplied in a 2 litre pot.